Finally, an Ikea leather sofa with a back high enough to support your neck. Short sofas are gorgeous, but sitting on them is about as comfortable as trying to balance books on your head. My only gripe: very visible seaming on the pillows and frame. 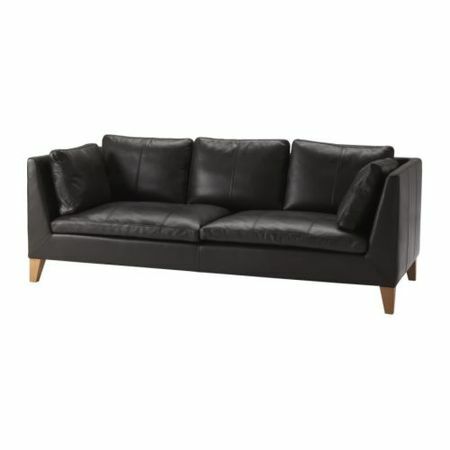 The Stockholm Sofa, $1499. This rocker has a lot of charm. 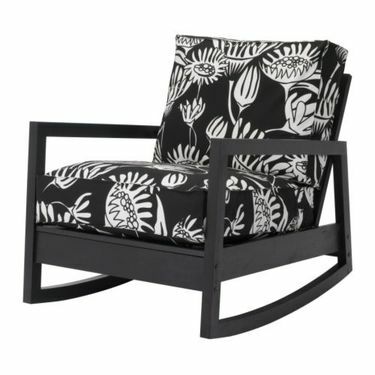 The Lillberg Rocker in black, $159. I’m not much of a girly-girl, but my future fantasy office would be accented with pretty pink furnishings like this. There’s just something soothing about this bubble-gum hue. 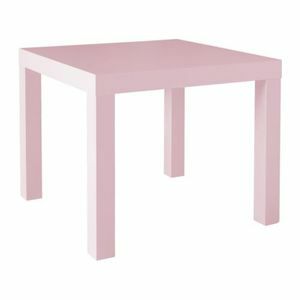 The Lack side table in light pink, $12.99. I see this simple desk chair in all of the home decorating magazines. 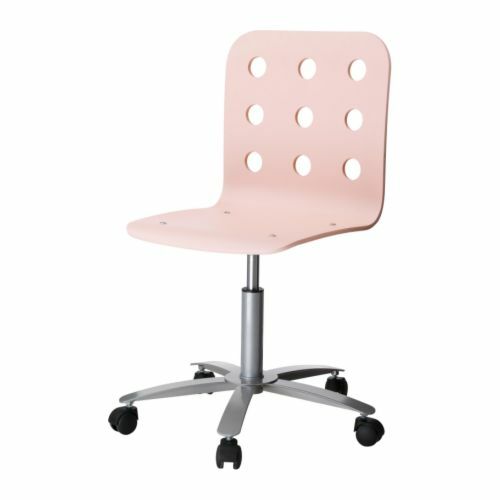 The Jules Swivel Chair in pink, $49.99. I’m having trouble getting a good read on the color of this Hemnes bed. It looks dull on the site, but in the catalog it’s a bright yellow. It’s certainly worth a closer look in-store. 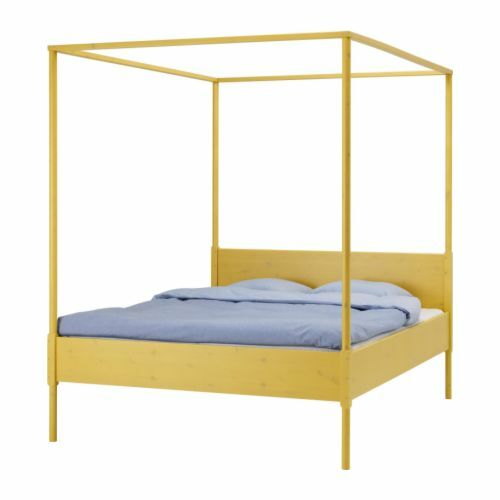 The Hemnes four-poster bed in yellow, $299. Looking for an inexpensive center piece? These modular tealight holders are full of possibilities. 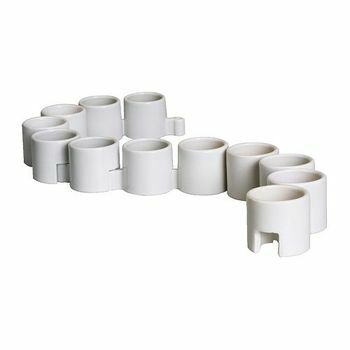 PS tealight holders, $6.99 for 12. This desk has a little bit of Brocade Home in it. 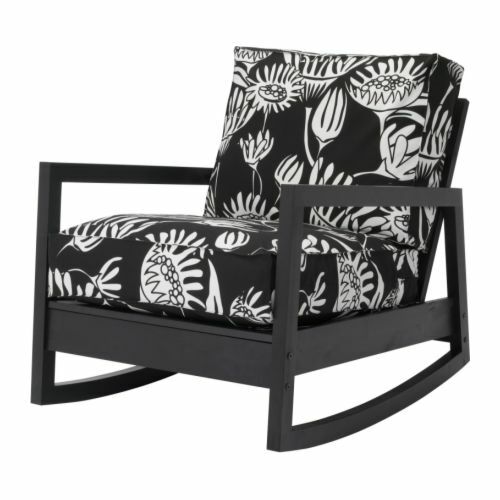 It would look fabulous with the Jules swivel chair in pink. Vikka Hyttan / Vika Fintorp table, $139. 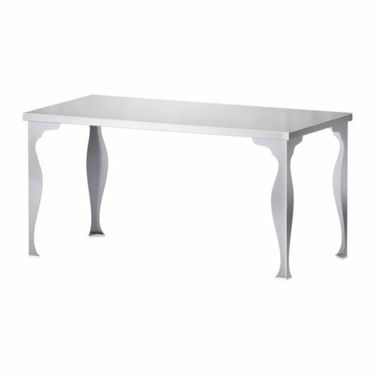 In keeping with this fall’s typography trend, is this Glasholm table top. I wish the text were more interesting, but the look is nice. Vika Glasholm / Vika Artur table, $140.